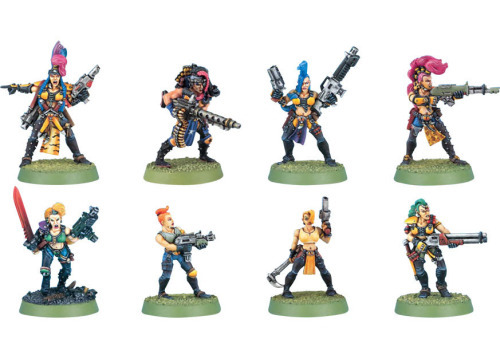 It was drawn to my attention that Necromunda will almost inevitably be rereleased unless there is a violent financial crisis targeting the UK’s valuable Wargaming sector. This is a concern because the basic game and its expansion Outlanders represent to me Games Workshop at their creative peak. Make no mistake those Van Saars do not hold up well today but the Escher gang is pretty much perfect. The background and style hadn’t really been seen before from a Games Workshop game (unless you count Confrontation and Judge Dredd). 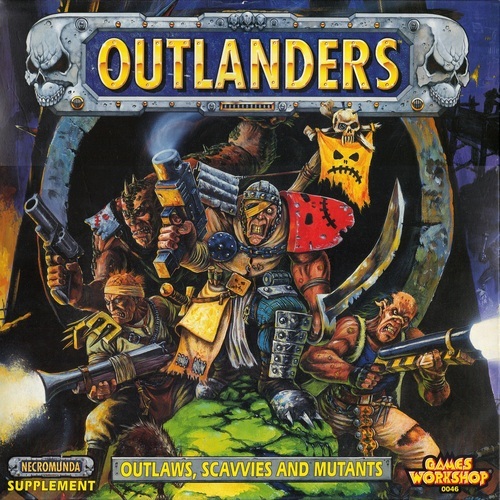 It had brilliant pencil and ink artwork that has gone out of favour with the design studio and a campaign system that allowed groups of players to play interesting scenarios like Lord of the Spire, a 4 player race to the top of a tower and Purge, an almost cooperative sweep of a tabletop littered with piles of cards that represented all the nasties that infested the bottom of the Hive. The thing is that the rerelease will never garner the acclaim of the original, it was even played at Gencon this year. If we’re lucky it will be a one month and done style release in the vein of Warhammer Quest, Space Hulk and Deathwatch Overkill. If we’re unlucky it will look like the terribly edited Necromunda Underhive omnishambles. 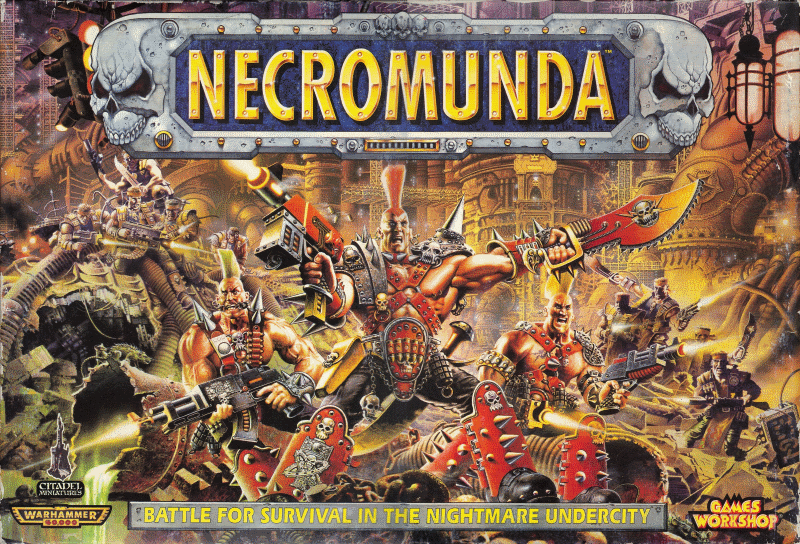 I’m aware that Necromunda is a niche market inside a niche market and that any attempt to dethrone 40k or Age of Sigmar is folly so my marketing plan will only last for about 3-4 months before being placed in the background once again. Secondly, I’m aware that skirmish games are being done on mass by pretty much every company on the market so in my world Games Workshop will pursue its marketing campaign in another way. This other way is simple: I’m going to create a mass social experience, the kind that will inspire nostalgia in the years that pass, or failing that a couple of decent news articles in Kotaku. What I’m going for is an experience similar to the opening of the Gates of Ahn’Qiraj or the Pokemon Go shenanigans at Comic-Con. Not brilliant in game terms but something that generates a whole lot of buzz. So let’s start with the Genestealer Codex, when Games Workshop finally drop that bad boy I would make sure there is a multi part sprue of forth generation hybrids in a box and some background in the codex pointing to a Inquisitorial purge in Necromunda. Then in June 2017 I would drop Necromunda, complete with multi part Goliath and Orlock gangs and scenery. The rules would be a 4 page job like in Age of Sigmar, players would hate it because haters gunna hate but Games Workshop would deliver a lovely section of background material for Necromunda in the same style as the old version and furthermore an app that would generate the random Treacherous Conditions and calculate the Settlement items your gang finds at the Settlement phase after a game. In July I would drop 4 more boxed sets, one per week. Van Saar with a couple of underhive scummer models in the sprue, Delaque with some Ratskins, Escher with some Pit Slaves and Cawdor with some redemptionist models. The rules for the new gangs and the associated guns for hire (I know redemptionists weren’t guns for hire but bare with me) will be pushed out in the app. It’s possible that people might notice the single 3rd generation Genestealer hybrid head I’d sneak into the Cawdor sprue, but equally possible they would ignore it. It’s also possible that they would notice some strange events happening on their app at the Settlement phase after games. 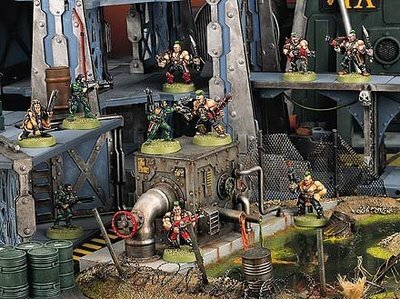 Regardless, in August the app would push out a notification to all users informing them that a Genestealer presence had been found on Necromunda and that agents of the Ordo Xenos had been sent to investigate. So this month we would have a boxed set of an Ordo Xenos inquisitor and an Adeptus Arbites squad. This time inside the box I would hide a message in the build instructions sheet saying “The great mother hides in the insides”. 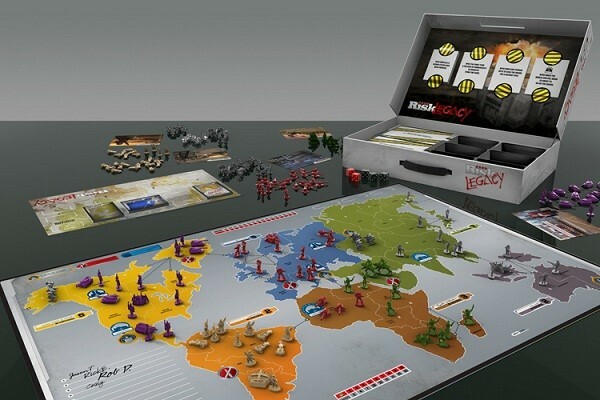 One of the great board game ideas that is floating around is the idea of a board game that hides all of its rules in foil containers like Risk Legacy. I’d go a step further and hide mine between the card that makes up the front of the box and the box art itself. It’s a idea that Games Workshop would have to discuss with their manufacturing guys but it shouldn’t be too hard to put into practice. If people had managed to disassemble their copy of Necromunda and reveal this secret area they would see a nice Genestealer cult logo and a QR code leading to a holding page. However in late August I would change it to show details of the Inquisitorial purge taking place on a Saturday later in the month. If no one had worked it out the cryptic statements on Games Workshops social media account would slowly get more and more specific with the instructions on how to find it. This would be the final blow off game of Necromunda before the normal service of 40k and Age of Sigmar resumed at your local GW or FLGS. Gangs that had been fighting for the last few months would be given a new scenario via the app. Escape the Inquisitorial purge. So on the last Saturday in August the game would take place. Gangs would rush the barricades and the game would end once a model exited via the opposite board edge. Once this had been done the managers of the GW stores would be instructed to start the sale of a limited edition plastic Gerontius Helmawr model with optional 3rd generation Genestealer hybrid head. Any that weren’t sold on the day of this event would be packed up and sent back to HQ like with the 30th anniversary Imperial Space Marine. It could only be purchased by people who were there and playing within a few hours of the game ending, totally unfair for everyone who was away that weekend but the effect would be to make this model so special that years later people could see the model on a table and have a good chance that the person using it participated in the same experience they did. The seeds would be sown for a Ordo Xenos codex (not just Deathwatch). Even better, people would go crazy for the next limited release, tearing it apart and trying to find out any secret messages contained within. So there you go. I know I’ve skipped characters like Bull Gorg, Mad Donna Ulanti and the Spire Hunters because they didn’t fit into the story I was crafting but I doubt GW will bring them back and the story threads there can always be picked up by local tournament organisers. I’d finally revert the Settlement events in the app back to normal and / or just publish the tables in White Dwarf afterwards to tie everything up in a bow.